Nuance and Lexmark have just announced their partnership to coincide with the launch of Lexmark's new product ranges. - Nuance AutoStore, an automated document capture application that supports a wide range of data formats (images, PDF, XML, barcodes ...) and enables the dispatch of documents and information to multiple targets: network folders, emails, printers, the Cloud, etc. 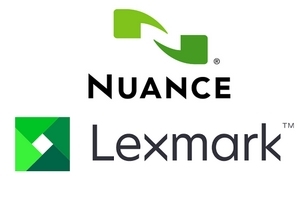 Lexmark can now distribute these three Nuance solutions. The terms of the partnership already apply to all companies already using Lexmark products, as well as to new customers. Lexmark has also announced the launch of its new range of copiers and laser A3 MFPs, highlighting increased productivity and efficiency. The alliance with Nuance underlines the manufacturer's wish to become one of the office hardcopy devices' leading players.